Think about your email marketing strategy for a moment. Do you have a defined methodology in place or does your approach have room for improvement? Are you like most companies who focus primarily on content, design and when to send your email campaigns out? If so, you’ve only begun to tap into the remarkable marketing power of email marketing. 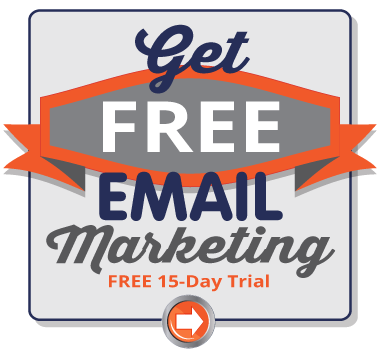 Pinpointe has potential customers evaluating our email marketing solution every day. They ask questions about advanced features like autoresponders, trigger campaigns, A/B testing, and in-depth data analysis; yet the majority of these companies have never used the advanced email marketing tools they inquire about. I’ve pondered the reason these tools are largely neglected and even tried to find some hard data around it. I found some stats from a web article by ClickZ that reveals that nearly two-thirds of companies do not use autoresponders. Their information comes from a 2013 Autoresponders Study conducted by Optify, a Seattle-based company that once provided digital marketing software for agency marketers. 37% percent of companies utilize an autoresponder and send follow-up emails after an online form submission – of that percentage, 78% send a follow-up email within the first hour of an online form submission. List segmentation is a doozy! A huge mistake email marketers are making in not segmenting their lists. 89% of marketers do not segment their database and send one email to all in the hope that at least a few readers will take action. Even more, according to Jupiter Research Study, marketers who segment their lists can improve conversion rates up to 355% and increase revenues by 781%. That is not a typo – the percentage is 781%! Only 11% of marketers segment their lists. Sad but true. And get this…HubSpot analyzed more than 100,000 emails and discovered the average click-through rate for an unsegmented email list was 12% lower than the average click-through-rates for segmented lists. 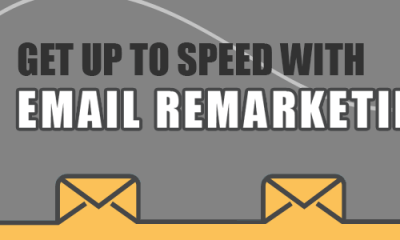 If you are a part of that 89% of marketers who haven’t segmented their email marketing lists yet, you will be off your rocker to ignore this information and continue sending to an un-segmented list. If you're motivated and ready to start segmenting, check out our 3-Step Strategy on How to Engage Email Subscribers. There may be a bit of confusion about exactly what trigger emails are? Quite often, trigger emails and autoresponders get mixed up. Though they are not the same thing, they can be used together to create sophisticated drip email marketing campaigns in email marketing platforms like Pinpointe. Someone subscribes to a list. After you're initial triggered “Thank you for subscribing” email – you can use an autoresponder series to create a follow-up sequence after contacts join your list. You have sent an email campaign with a link in it to download an asset like a whitepaper. When someone clicks that link, a trigger email is sent that contains the whitepaper. It is someone’s birthday or some other significant date. 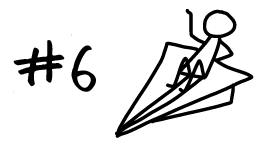 A triggered email can be set up to send a message on a specific date located in a data field. Someone opens an email. You can set up a trigger email to send a few days (or any predetermined amount of time) a subscriber opens one email. You want to send out an auto-renewal reminder. Increase revenues by setting up an automated renewal reminder message, and schedule it to go out 30 days before the renewal is due. You want to move contacts to a specific list. With Pinpointe's active triggers, you can even add or delete a contact from the list, based on previous activity. For example, create a list called 'Hot leads'. When a contact clicks on a link for a particular product special, automatically copy their record to a new list called 'Hot Leads'. Do you want to go deeper into trigger emails? 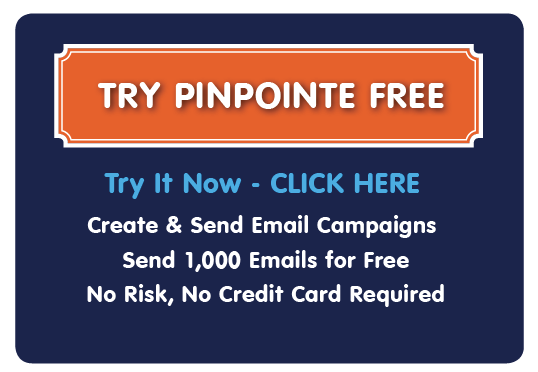 Pinpointe offers advanced trigger marketing in which you can create multiple trigger emails in a sequence that will be sent automatically – each based on its own trigger criteria. You just 'set and forget' campaigns for managing product trial downloads, cross-sell and up-sell campaigns, and complex nurturing programs. Best of all, you get to enjoy the benefits of improved responses while Pinpointe does the work for you. I have been working with clients on their email marketing needs for a while, and I can count on one hand how many of those clients have used dynamic content. This may be largely because many run-of-the- mill email service providers don’t offer the capability to create dynamic content (Pinpointe does). Dynamic content allows you to dynamically insert entire blocks in an email design – including the HTML, images and content, based on a field value. 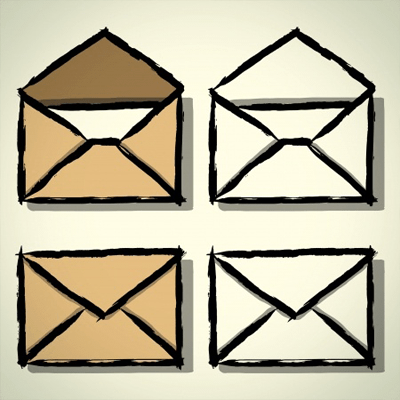 Let’s say your company has four different email lists based on areas of subscriber interest. Many companies would create four different email campaigns and send those email campaigns to customers who are on those lists. What if you have a subscriber on all four of your lists? Now they are getting all four of your emails – talk about mailbox overload! Dynamic content solves this issue and allows you to create one email template and insert multiple dynamic content boxes within the email (one for each area of subscriber interest). Then when you send your email out, recipients will only see the dynamic content boxes that contain the information they are interested in. Pretty cool huh? Utilizing this tool will save email marketers with multiple lists a ton of time. The above list is only a few items you can test. There are endless variations you could be testing: MediaPost.com provides a pretty extensive list with 101 Things You Could Be Testing. With so much you can test, it may feel a bit overwhelming…so, start small. Test the day and time, tweak the subject line to include personalization, or make your subject line short and test it against a long one. Yet, before you sent up any testing, first think about what your end goal is and create your tests with it in mind – always. After an email marketing campaign has been sent, many marketers usually look at one main metric first – Open Rates. High open rates are nice, but you shouldn’t get too excited a high percentage of opens if your click through rates stinks. High open rates tell you your subject line was compelling enough to get your subscribers to open your email, but you are not seeing any conversion results if no one clicks on your Call To Action (CTA) links. It makes total sense, right? Analyzing the data from the six metric above will provide you with real results and give you some great insight into what emails are working, which ones you need to tweak and which ones are an epic fail. I am a firm believer that every email marketer should be using autoresponders. Why? Because they allow you to nurture lead relationships, deepen your relationship with existing customers, and raise awareness of your brand. This is just to name a few. In addition, a well-planned and executed program will improve your ROI; yet, 60% of companies still do not use autoresponders. I haven’t found any real data on why this number is so high, so I’m going to jump to a couple of conclusions based on my experience. Whether these assumptions are totally accurate or not, I know that are roadblocks for some. In the recently recorded a quick-fire webinar – How To Master Autoresponders In 20 Minutes – leading authority on Internet direct marketing, Reggie Brady explains how you can create an effective autoresponder series and what to include based on tried and true strategies. There is also a plethora of information on autoresponders on the web, including one of my favorite articles posted on the KissMetrics.com blog: – How to Make Your Email Open and Click-Through Rates Skyrocket. There you have it – the six most underutilized email marketing tools. If you are using all of them, you are a rock star email marketer. If you need to start integrating some (or even all of them) into your strategy, don’t worry – tomorrow is another day, and you can only get better! If you need help working on your email marketing strategy, please feel free to contact us anytime at support@pinpointe.com. We can walk you through all of our advanced email marketing tools, so you can get the most out of your email marketing investment. Can I send out a series of messages over time when a user subscribes to a list? 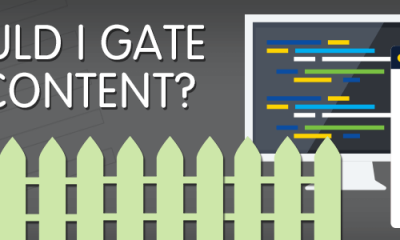 Gated Content – Should You Gate Your Marketing Content?